The Congregation of the Sisters of the Cross of Chavanod was founded in 1838, at Chavanod, a little village of Savoie, in the South East of France. 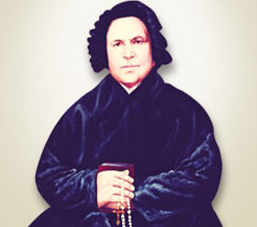 Claudine Echernier, the foundress of the Congregation of the Sisters of the Cross of Chavanod was born on 29th May, 1801. She was a native of Feternes, a small village of Chablais, and belonged to an extreme poor family. Born on 4th June, 1963 in India. She was elected as the Superior General on 14th Feb, 2019. Sr.Jyothi Selvaraj is the Provincial of the Province of Tiruchirapplli. She was appointed as the Provincial on 18th April, 2017. She was born on 15th March, 1959 in Sri Lanka and came to India in 1974. Provincial Councillor and Missionary in Sri Lanka.